Home » Articles » Local » Dancing with the Stars Live Making Stop in Cincinnati! Dancing with the Stars Live Making Stop in Cincinnati! TV’s biggest dance show returns on tour! 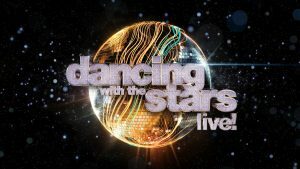 Dancing with the Stars Live makes a stop at Taft Theatre (317 E 5th St. Cincinnati) this Thursday Jan 31 at 7:30 p.m. This amazing live show features fan favorite professional and troupe dancers in a brand-new production showcasing every type of dance style as seen on ABC’s hit show Dancing with the Stars, ranging from ballroom and jazz to modern and hip-hop. Tickets start at just $46.50 and can be purchased online at https://www1.ticketmaster.com/dancing-with-the-stars-cincinnati-ohio-01-31-2019/event/16005533ADF75E0B. Don’t miss Dancing with the Stars Live, this Thursday night!